Part of the esteemed ZF group of automotive equipment suppliers (who also count SACHS as one of their flagship brands), TRW Brakes are one of the world leaders in OEM and aftermarket braking products. TRW established their name for innovation as one of the pioneers of electronic braking systems, and have taken their passion for technological advancement to their everyday braking products like their popular TRW brake pads and TRW rotors. Today, TRW Australia helps drivers across this country and the globe to ensure their brakes are working at peak performance levels. TRW Brakes are one of our most trusted suppliers of OE replacement brake pads, and a brand we're truly proud to offer to our customers. TRW Brakes strive to engineer brakes that combine real-world usability and OE build quality with innovative solutions to improve everyone’s driving experience, regardless of vehicle or style. Because of this, TRW are one of the world’s largest and most trusted producers of OEM brake discs, manufacturing over 12 million brake rotors a year for both OE suppliers and aftermarket customers across the world. Why Should I Choose TRW Brakes? The staple of every TRW brake pad is their Cotec technology, a revolutionary new coating for the outside of the brake pad that comes on all of TRW’s highest selling brake pad sets. Cotec helps to improve disc-to-pad contact, producing more effective stopping power and efficiency while reducing the bedding in period for your new brakes as well. TRW brake pads also combine high friction materials with low dust, noise and vibration technologies to provide a world-class, balanced braking experience. From the shims and backing plates right through to the friction material and the point of contact, you can be sure that every TRW brake pad has had the greatest attention to detail put into it at every stage. If you’re unsure exactly what type of TRW brake pads you need for your vehicle, make sure to peruse our Brake Pads Buying Guide. Sparesbox is proud to be partnering with TRW Brakes to help you maximise your vehicle’s stopping performance. We carry a massive range of almost a thousand sets of TRW brake pads to fit a huge range of vehicles at both the front and rear wheels. TRW brake pads combine revolutionary technology and premium manufacturing in every layer of their construction, meaning you get a truly quality braking experience to rival OE brake pad manufacturers across the market. 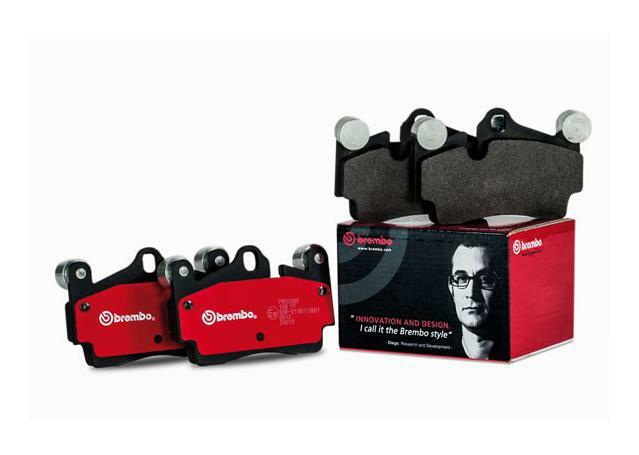 When you’re looking for a convenient, online destination to buy TRW brake pads in Australia – visit Sparesbox first!